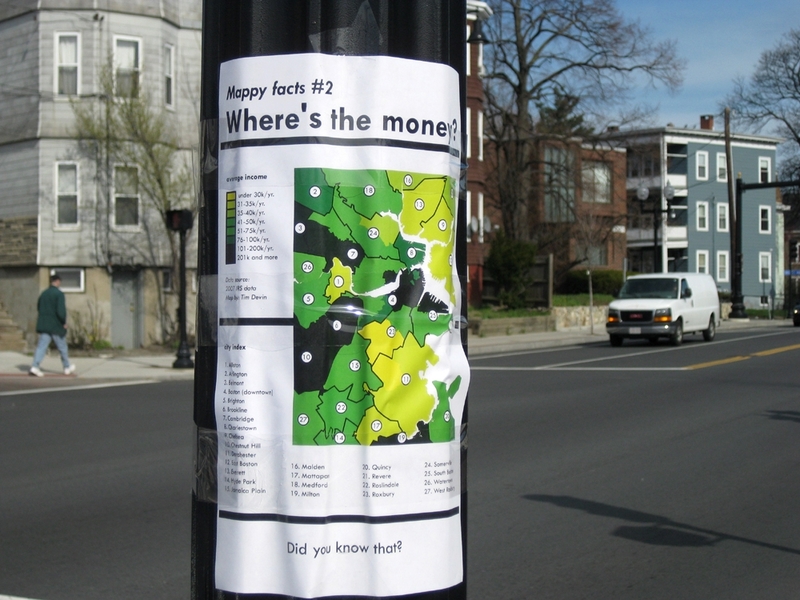 By Egotist / May 25, 2011 / Somerville artist Tim Devin has been putting up the following signs around Boston: Mappy Facts Street Surveys Why, you ask? “I like to do things in public that are sort of interacting with people,” says Devin. “From where I stand, I don’t care if people think it’s art or not. 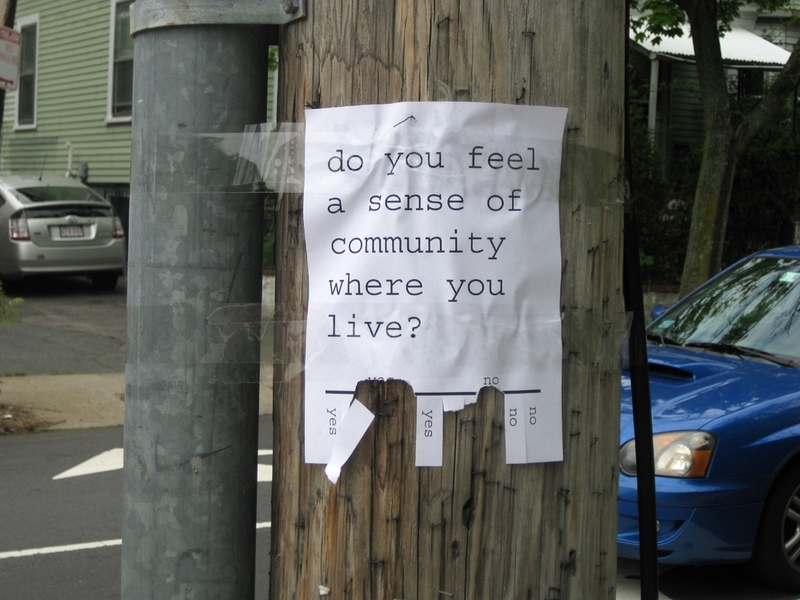 The idea is to create a little bit of community and to give people a chance to interact, which everyone enjoys. It’s a way to encourage a different way of thinking about things.” He’s also put up Poems By Paul Johns, just because he thought it would be “nice.” You can help him if you want. Just let him know. Via. The Creative Team Taboo: Who’s the Better Half? IF YOU HAVE BOSTON ADVERTISING OR DESIGN NEWS, LET US KNOW. The Boston Egotist serves up news on advertising, design and other creative resources to the New England advertising community.